Sean Szymkowski May 5, 2017 Comment Now! 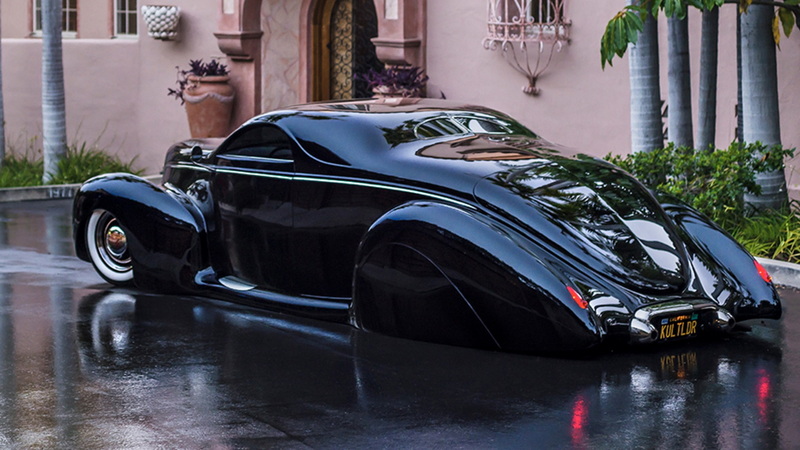 Not every custom build becomes an icon, but this 1939 Lincoln Zephyr Coupe transcended all and has become a superstar. It even has a name: "Scrape." And if you like what you see, RM Sotheby's will see the iconic Lincoln off at the Santa Monica auction June 24-25. Why is the Zephyr Scrape so iconic? It has one heck of a story to explain its stardom. The car is the brainchild of former Hot Rod magazine editor Terry Cook, who spent years dreaming up the design. It's meant to combine the best of the Zephyr's design: the cowl-back looks from the 1938-'39 models and the handsome snout of the '40-'41 model years. Cook combined them to create "Scrape." 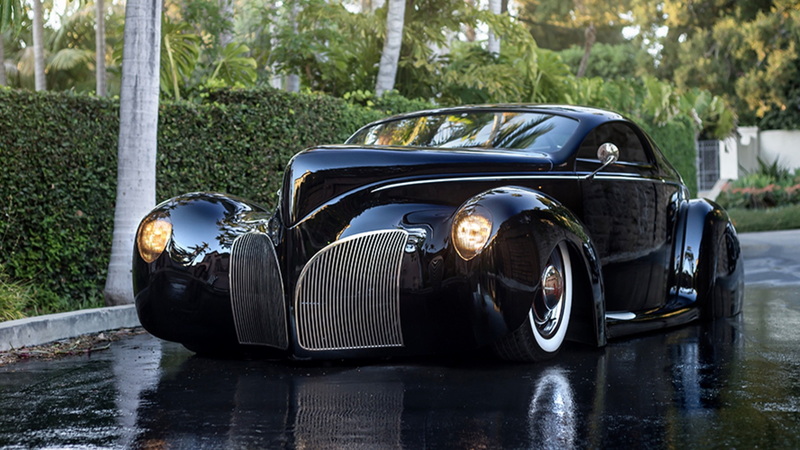 Between a handful of custom builders, who poured thousands of hours into the body construction, the design was settled as a low-riding, chop-top Lincoln. No crazy powertrain swap here, just style. Lots and lots of elegance and style. The front and rear fenders were widened, the pillars chopped and cleaned up accordingly, and the top of the roof was cut down to belly-button length. The final build rose through the ranks of rod and custom culture in the 1990s, appearing on the cover of Street Rodder. It's been the featured car for numerous car care products, and has been immortalized by Mattel with its own Hot Wheel version. It was also the first custom car to sit flat on the ground with its hydraulics completely dropped. 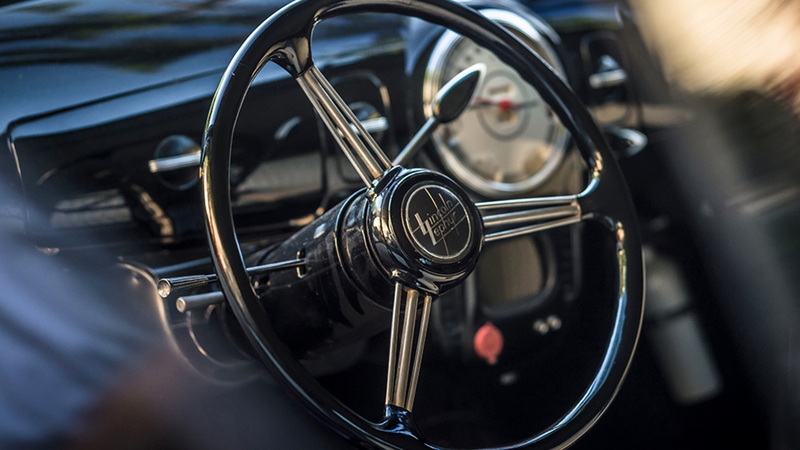 Following Cook's ownership, the Zephyr sold in 1999 at auction in Pebble Beach for $250,000 and remained in the Petersen Automotive Museum in Los Angeles for years. 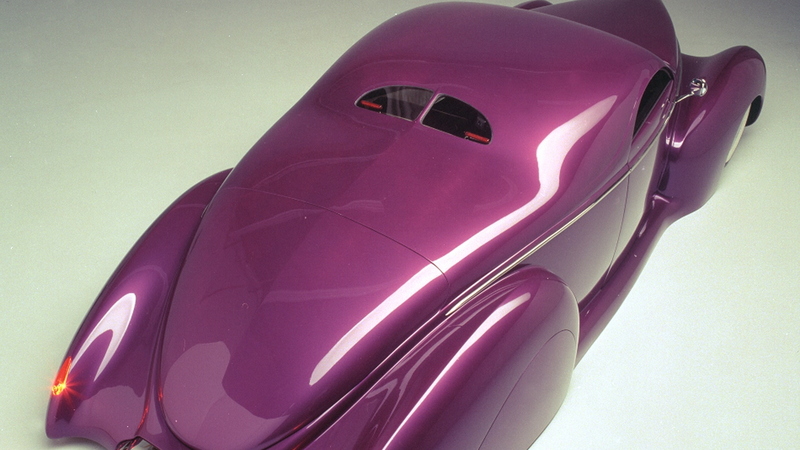 The Petersen Museum sold it at auction in 2013 for only $55,000 to "Storage Wars" celebrity Barry Weiss, who changed the car from its original purple color to black, swapped out the hydraulics for airbags, and put diamond step plates on the outside rocker panels, among other changes. Now, "Scrape" will seek a new home, and probably garner a greater sale price than the paltry $55,000 price it brought just a few years ago. 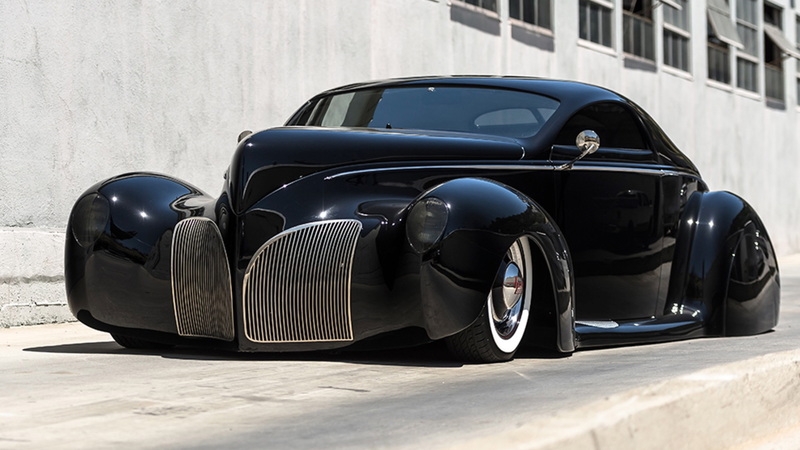 High-Res Gallery: 1939 Lincoln Zephyr Coupe Custom "Scrape"